100 patisserie icons set grunge blue. 100 patisserie icons set in grunge style blue color isolated on white background vector illustration. 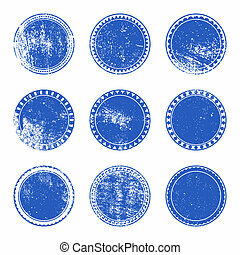 Grunge Stamp Set of Blue color for your design. EPS10 vector. 100 web, business, media and leisure icons set. Blue vector buttons. Set of 100 media and web icons in blue and yellow. Games icons set. Grunge. White - dark blue palette. Vector illustration. Gadget icons set. Grunge. White - dark blue palette. Vector illustration.